Italian style, food and culture are admired around the world. 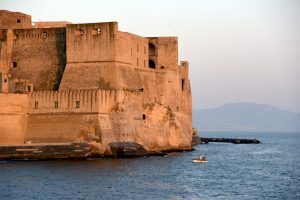 What is lesser known however is that much of what the world knows and admires about Italy comes from its arguably most colorful, complicated and least understood city – Napoli. “O Sole Mio”, cinema icon Sophia Loren and some of Italy’s most delicious cuisine, including pizza, all hail from this most unique southern metropolis. Regrettably having developed a seedy reputation of criminality and society without rules, traditionally the city is perhaps best known as none other than the starting off point to other nearby areas of interest such as Pompei, the island of Capri and the Amalfi coast. In fact Napoli itself has long been a place considered by many, Italians included, as a city best avoided. 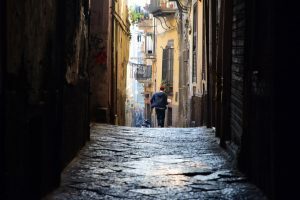 The challenges of Napoli cannot be overlooked however for far too long this side of the city and its people has overshadowed the incredible cultural richness of this place and its importance to Italy and the world. Partenope: Finding A Lost City is a feature-length documentary film that will explore Napoli in a way that to date no other film has juxtaposing the good with the bad and highlighting its incredibly diverse history which makes it so unique. 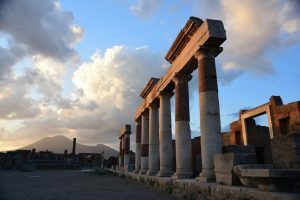 Over the course of a year immersed in present day neopolitan life and following four individuals who’s stories revolve around the creation of music, cooking, working through civic problems and rediscovering Napoli’s mysterious, ancient past, the film will capture a dynamic picture of what the city is truly about. With a world more divided now than any other time in recent history, Partenope: Finding A Lost City is a film about exploring a place and people that are culturally very rich, appreciating their struggles and celebrating the beauty of Napoli that has evolved for millennia. When I came to Napoli in the summer of 2015 I was completely captivated. Walking the narrow corridors of the historical center it was as if I could still feel the presence of those who had walked the same streets thousands of years before me. I have now had the opportunity to live in Napoli for the better part of the last three years and I am no less fascinated. During this time my connection to this city has also become very personal as my son, Roger Marcello, was born here in 2017! As a documentary filmmaker, I began thinking about making a film starting from my first visit. Napoli has had a profound impact on my life and I want to share this special place with the world.